Think about copywriting as a type of design. The goal of design is to make things usable and delightful, right? Words can jump-start the process. Effective copy explains the point of your product to people who haven’t tried it yet. Clear descriptions and calls to action can prompt readers to purchase your product, download it, set up an account, or [insert desired action here]. Thousands of people make products that they want other people to try. A small but meaningful subset offers something useful, something worth people’s time or money. My guess is that the majority of entrepreneurs who’ve built a useful product get stuck at that stage, because they don’t communicate what it does or how it will solve people’s problems. Product-market fit is meaningless if you can’t convince the market to pay attention! Concrete explanation of what your product or service is. Don’t be afraid to be literal. Value proposition, AKA why potential users should be interested. Call to action, ideally a form that can be filled out without navigating to another page. What your product is and how they would interact with it. Why they might want to do so. What’s the benefit? The next action they should take if they want to go forward. 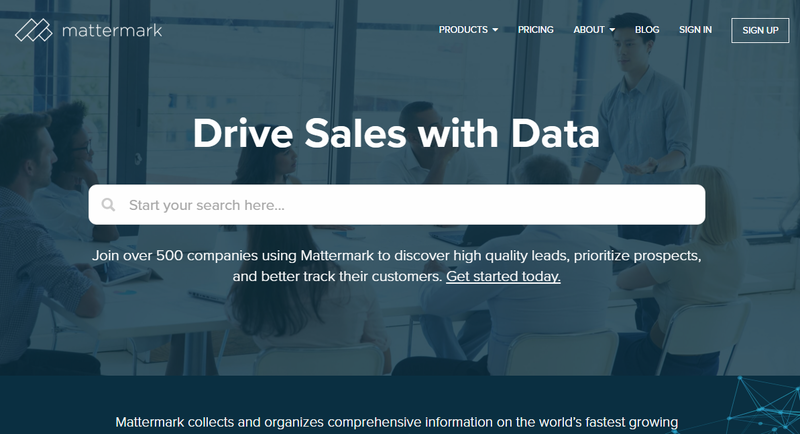 “Join over 500 companies using Mattermark to discover high quality leads, prioritize prospects, and better track their customers. Get started today.” Plus, obvious search bar is obvious. The only thing I’d change is putting a suggestion in there, e.g. “Start your search with [example term]…” Screenshot taken 3/21/2016. Unfortunately, not everyone is executing as well as Mattermark. Many novice startups try to emulate the landing pages of highly successful companies — to a fault. Copying the winners seems like a common-sense move, but it misses the key difference between what a giant like Google and Facebook needs to communicate versus what an obscure startup needs to communicate. 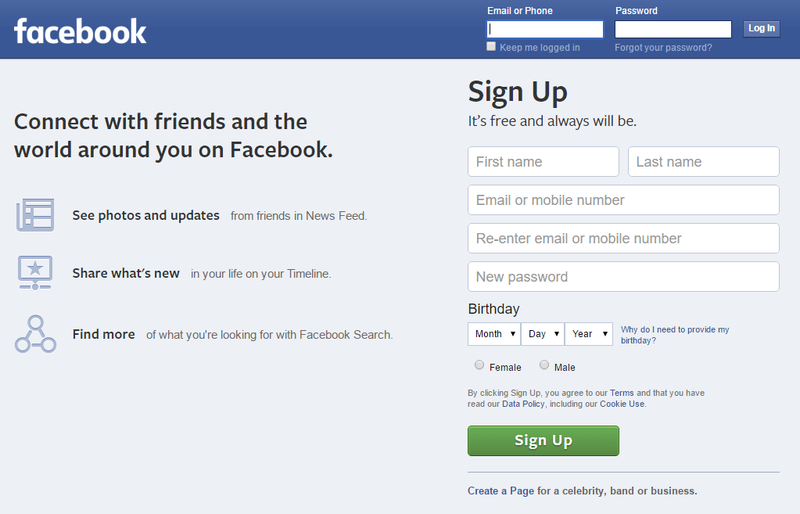 Facebook’s landing page is nearly perfect, except for the emphasis on search, which I object to on dual grounds. Facebook’s search is garbage and it’s beside the point — their core value proposition is about connecting with people you know. Screenshot taken 3/21/2016. “Discover the web. 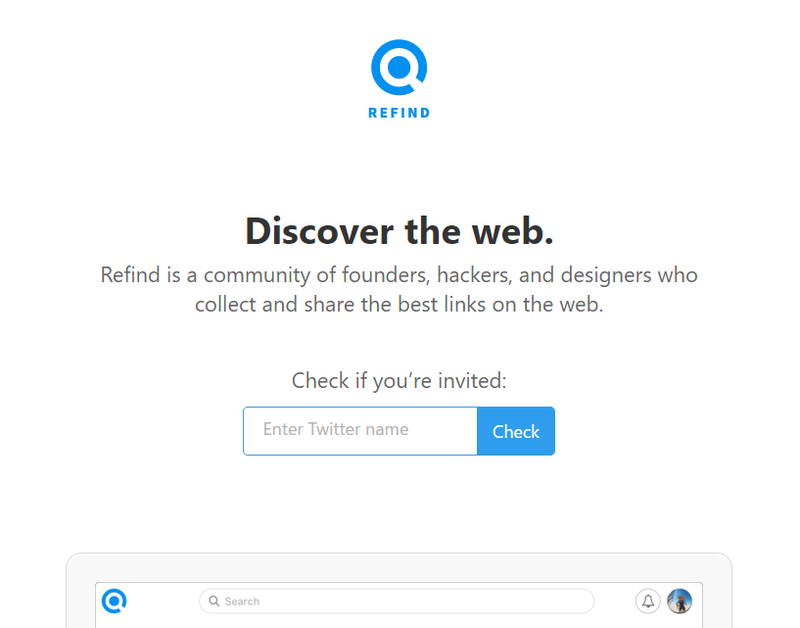 Refind is a community of founders, hackers, and designers who collect and share the best links on the web.” Screenshot taken 3/21/2016. Use our browser extension to save valuable links, and we’ll insert them into your relevant Google searches later. Join a community of founders, hackers, [and so on]. Below that, a cleaned-up screenshot of what a Refind link looks like when pre-populated into Google results. For example, you could save the article that you’re reading right now and tag it “copywriting”, “product description”, etc. If you searched adjacent terms in the future, Refind would offer you this link again. My thesis here is that website visitors who don’t understand what you’re offering are far less likely to pull the trigger. Thus the emphasis on specificity, and connecting all the dots for people right away. Make it easy for them to make a decision. Again, this is how copywriting can be thought of as a type of design — it guides the user toward your desired mindset and shows them what they should do.